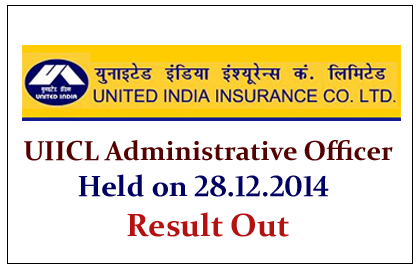 United India Insurance Company has announced the results of Administrative Officer Exam which was held on 28.12.2014. Candidates those who are appeared in that examination can check their result here. To view the results click the link given below. Candidates those who cleared in the examination can download their Interview Call letter from the Company’s Website Soon. And the Marks of the individual candidates will be published after the publication of final result.